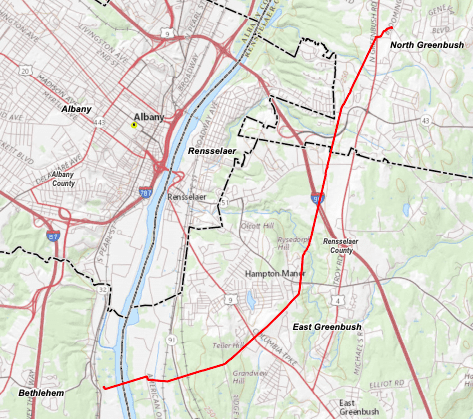 BETHLEHEM — National Grid is proposing to build a 7.3 mile, 16-inch diameter gas pipeline that would run from the Town of Bethlehem to the Towns of East and North Greenbush, crossing Albany and Rensselaer counties. According to National Grid’s website, the project is officially known as the Pipeline E37 Reliability and Resiliency Project. It would “allow for a more reliable and resilient natural gas system for our existing customers in New York’s Capital Region” and it would complete the so-called Albany Loop, an existing horseshoe-shaped transmission main from Troy to Bethlehem. In an email to Spotlight News, National Grid regional spokesperson Patrick Stella wrote that the project aims to improve National Grid’s Eastern Gate which has been found to be “supply-constrained,” which can be detrimental especially during its peak season in the colder winter months. It also hopes to limit the number of potential disruptions of natural gas usage to current customers and provide more natural gas options for Capital District residents. Stella also wrote that National Grid has recently been working towards finding sustainable energy solutions like with its Newtown Creek Renewable Gas Project in 2015. In that project, the company worked to “inject renewable gas from wastewater and food waste into our gas system” in Brooklyn, New York. The project would require numerous permits and have to be approved by several state and federal agencies including the state Departments of Agriculture and Markets, and Environmental Conservation. Construction is planned to commence this fall and end by 2021 or 2022. 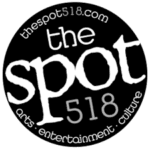 The pipeline, running mainly in a west to northeast direction, will start around 885 feet north of the Bethlehem Gate Station on River Road in Bethlehem to the Troy Gate Station on Bloomingrove Road in North Greenbush. It would be buried at least 36 inches from the ground level in general and at least 60 inches if under roads and bodies of water. National Grid also plans to restore the lands to their pre-construction conditions as closely as possible, after completion of the project. Bethlehem Town Supervisor David VanLuven said that this project “barely touches Bethlehem and I don’t see an avenue through which the town can stop it, since it has such a minor impact in our town.” While he said he has not spoken with the town supervisors from East and North Greenbush, he said that he is remaining neutral towards the project since it is not presented as bringing fracked gas through the town. For more information, call the project hotline at 518-554-8454, email the project team at info@nygasprojects.com, or visit www.nygasprojects.com/pipeline-e37-reliability-and-resiliency-project.htm.